Many people recognize “I Know Why the Caged Bird Sings” as the title of an 1969 autobiographical novel by Maya Angelou, but Austin artist Deborah Roberts points to the original author of the phrase, poet Paul Laurence Dunbar, as the inspiration for the smart group exhibition she’s organized at the George Washington Carver Museum. The son of slaves, Dunbar was one of the first African-Americans to gain widespread recognition for his poetry. His 1899 lyric poem, “Sympathy,” centers on a caged bird, symbolizing the oppression of black Americans decades after emancipation. 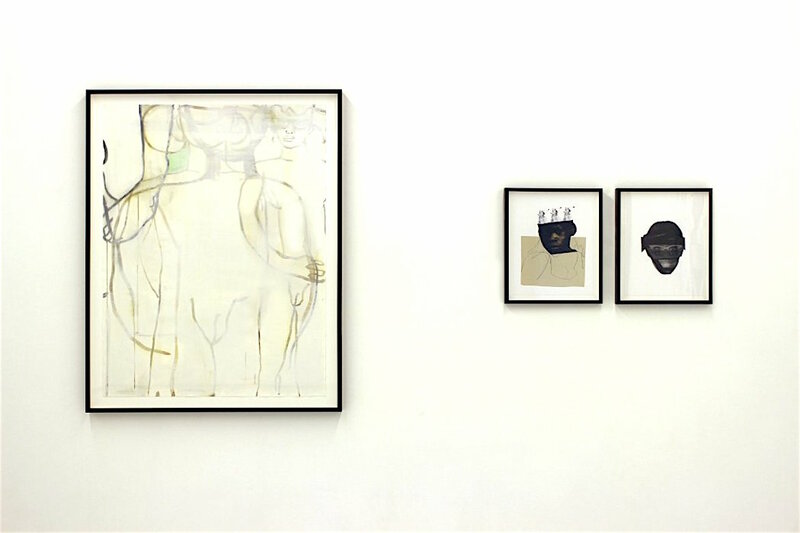 Roberts places Dunbar’s poem in full on one wall of the exhibit that gathers work by herself and three other artists, all probing how definitions of self and cultural identity can be expressed in different visual styles. Nydia Blas’ potent and poetic photographic portraits capture young African-American men and women right at the age where adolescence and adulthood is most nebulous. They strike poses simultaneously defiant and innocent. James Maurelle’s sculptural objects are compelling. Head-like orbs made of wood scraps glued together with globs of resin are mounted on pedestals and then arranged on a platform like the honorific busts of notable men (usually white men) in official displays. The George Washington Carver Museum and Cultural Center is dedicated to the collection, preservation, research and exhibition of African-American historical and cultural material. The museum offers gallery exhibits, programs, classes, springbreak and summer camps, theatre productions and a genealogy center. The museum is housed in a 36,000 square-foot facility that includes four galleries, a conference room, classroom, darkroom, dance studio, 134-seat theatre, and archival space. The galleries feature a core exhibit on Juneteenth, a permanent exhibit on Austin African-American families, an Artists’ Gallery, and a children’s exhibit on African-American scientists and inventors.